Eleanor Powell, the magnificently talented movie-musical performer of the mid-twentieth century, was too good for Hollywood. I don’t mean too virtuous; I mean too virtuosic—too masterful at her specialty, tap dancing, for the powers of the studio system, including its powerful male stars, to tolerate. Powell, who died in 1982, would have turned 100 this past Wednesday. Today, she comes across in film clips as nothing extraordinary, an equal to the men with whom she performed, and that’s what extraordinary about her. In her own day—in the late 1930’s and early 1940’s, when the women of the musicals served mainly to make the men look good—Powell was a little too equal to her so-called co-stars. She made them look co-equal, and they felt less like stars. “Eleanor Powell was one of the very greatest, period, bar none,” said Fayard Nicholas of the Nicholas Brothers dance team, who understood greatness. “Not one of the greatest woman—one of the greatest, period.” Dynamic and versatile, Powell danced with a melodist’s sensitivity to the essential musicality of tap. “She was a musician,” Nicholas said, using the word tap dancers tend to reserve for their highest praise. Watching a clip of Powell and Astaire together in Broadway Melody of 1940, one could wonder what the hell he’s talking about. Powell is as gorgeous as she is fleet-footed and musical. 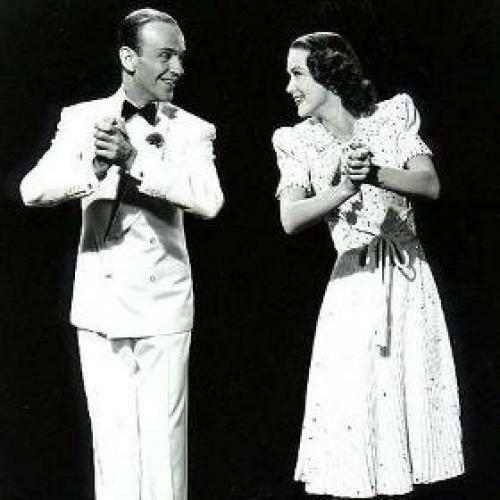 By “mannish,” Astaire obviously meant unwomanly, and by that he meant, in essence, unflattering to him. After all, the dancing thought of as partner dancing in the heyday of movie musicals was, in fact, more a kind of two-person soloing, with women functioning largely, often, as the fantasy object of conquest. Eleanor Powell read, on screen, as neither conqueror nor prey. Hollywood could never figure out to use her, because she came across as a woman not easily used. As her roles dwindled, Powell drifted out of the movies, making her last major appearance in the minor film Sensations of 1945. Sixty-seven years later, Powell has finally found her time.